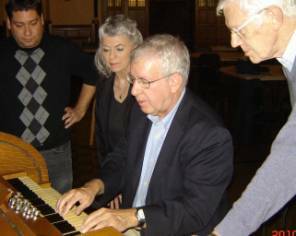 MaryAnn Balduf, Dana Hull and Ken Holden explore the possibilities of the two manual, 13 rank Estey Pipe organ in Kresge Hall. Ken Holden and Dana Hull in earnest discussion. Ed Price takes his turn at the Estey, ably assisted by (l-r) Andrew Galuska, MaryAnn Balduf and Jim Wilkes. 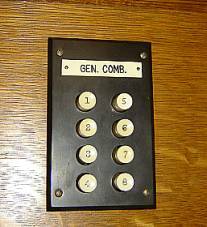 Stops for the Estey’s three divisions are push button actuated. 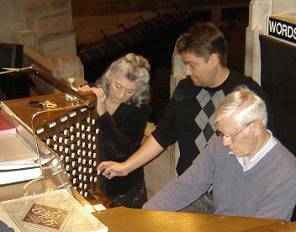 MaryAnn Balduf pays attention as Jim wilkes plays the Möller organ and Andrew Galuska pulls stops. Andrerw Galuska demonstrates the Möller as the group intently watches. 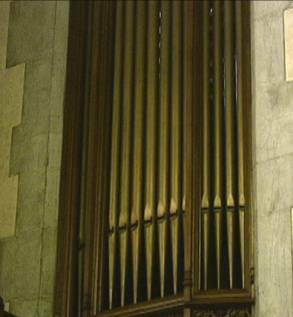 The Estey organ pipes speak from the left side of the Kresge Hall façade. 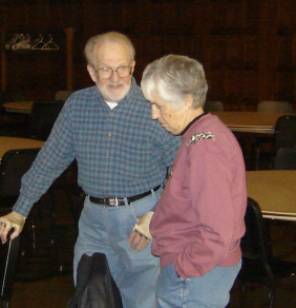 The October 2010 meeting of the Michigan Chapter of the Organ Historical Society convened at 9:40 a.m in Kresge Hall of Metropolitan Methodist Church, Detroit, Michigan. 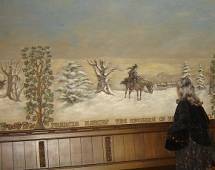 Present were Carl Balduf, MaryAnn Balduf, Kenneth Holden, Dana Hull, Ed Price and Jim Wilkes. 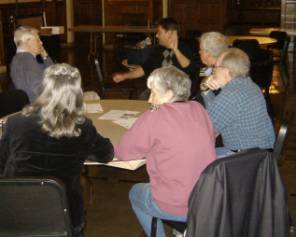 The meeting was hosted by Andrew Galuska, Minister of Music and Master Organist at Metropolitan Methodist Church. The minutes of the September 18, 2010 were unanimously approved. 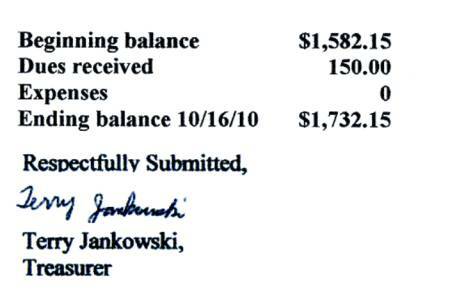 In the absence of Treasurer Terry Jankowski, Balduf read the Treasurer’s report that Jankowski had submitted. The report can be found below. A concern about member Brian Sweetman was alleviated when Balduf reported that he had sent his regrets for missing the past two meetings due to a heavy work load and other issues. He expects to attend meetings in 2011. The springtime Western Michigan meeting trip was briefly discussed. 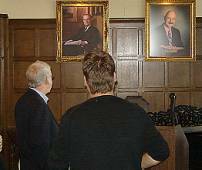 The group was enthusiastic about hearing the Holtkamp organ at Olivet college and the various instruments at the home of Ben Baldus in Lansing. On behalf of those present, Balduf thanked Andrew Galuska for hosting the meeting. 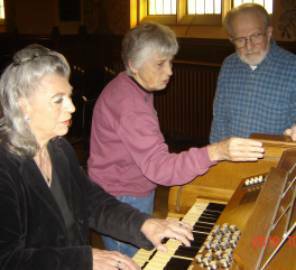 There being no further business, the meeting was adjourned at 9:50 a.m., after which the group explored the Estey pipe organ in Kresge Hall, enjoyed a tour of the magnificent and historic church building, and marveled at the huge five-manual Möller pipe organ in the chancel. 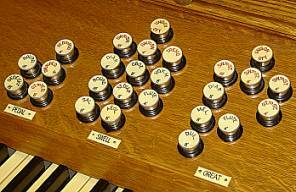 For Möller organ specifications and an audio/video demonstration click here. 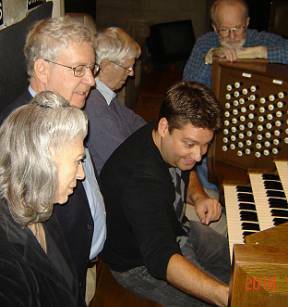 Click here for an Estey organ demonstration. 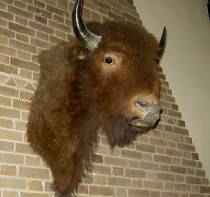 Following the tour, demonstrations and open console, members of the group lunched at the atmospheric Traffic Jam & Snug restaurant near Wayne State University. 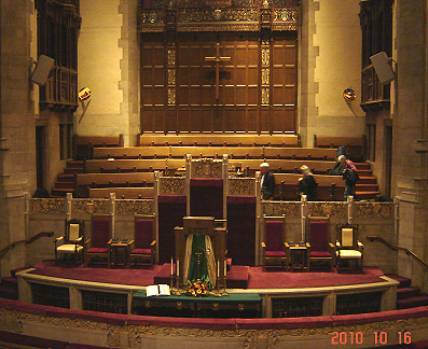 OHSers, on the way to the Möller organ console, are dwarfed by the massive chancel. A pleasant lunch at the Traffic Jam & Snug. Left to right are Andrew Galuska, Ken Holden, Carl Balduf, MaryAnn Balduf and Ed Price.